Kay frequently appears in both the Danish and international media to discuss Danish culture, moving to Denmark, internationals in Denmark, and the Danes' excellent use of English. If you'd like to use Kay as a source for your story, use our contact form. She generally replies within 24 hours. 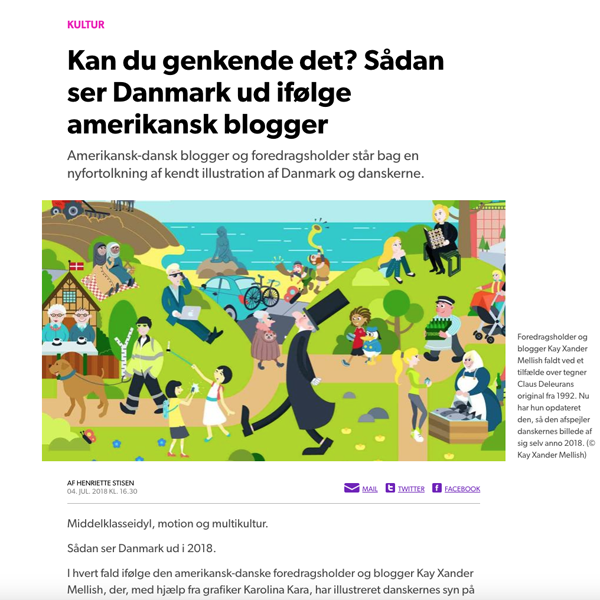 The website for Denmark's national broadcaster reported on this multi-person drawing from Kay Xander Mellish and Polish artist Karolina Kara, modeled after famous cartoonist Claus Deleuran's 1992 drawing. The updated image shows Denmark as a country much more confident than it was 20 years ago, with art institutions replacing crumbling factories. DR said the image featured Denmark's "middelklasseidyl, motion og multikultur." 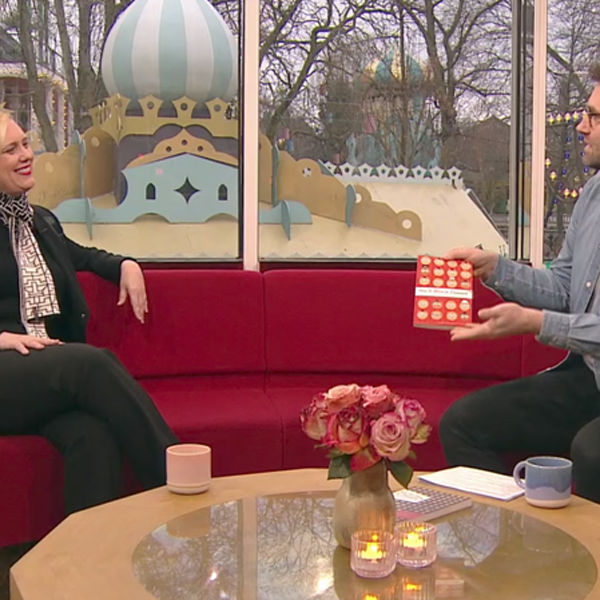 Kay appeared on the national news program "Go' Morgen Danmark" to promote her book "How to Work in Denmark". She also stopped by DR's Radio 1 and Radio 24/7 to talk about the unwritten rules of the Danish workplace. Denmark’s highest-circulation newspaper, the Jyllands-Posten, published an extensive interview with “How to Work in Denmark” author Kay Xander Mellish about working culture in Denmark. Accompanied by photos taken at the Copenhagen headquarters of Carlsberg, Kay’s former workplace, the article goes into Kay’s reasons for coming to Denmark and her observations about the Danish workplace.